The attractive blond at the information desk in Fresco Hall smiled at me excitedly. “It starts here, after dark,” she added, pointing to a spot on the map of Bergen that she had already marked with nearly a dozen other things that I should see and do on the national holiday, two days away. 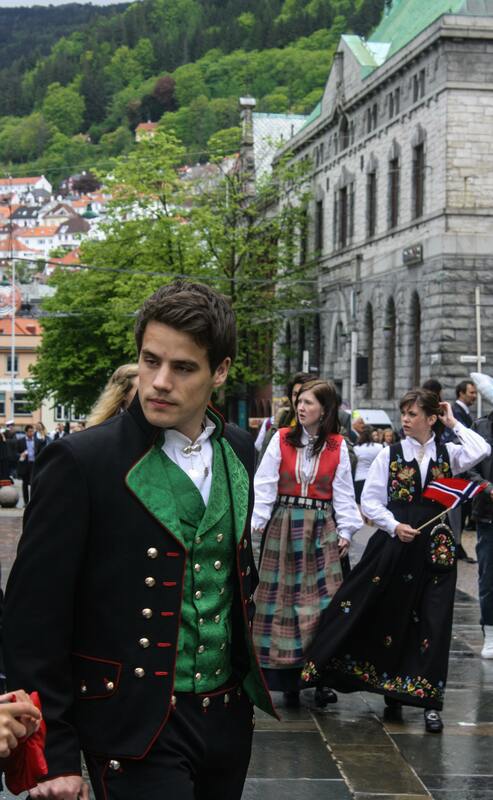 Norwegians in traditional costume add color and style to Constitution Day. A synaptic misfire in my brain prevented me from asking for further details about “the fire.” Perhaps it was because she had just overloaded me with information about all the upcoming events commemorating Norway’s Constitution Day. Perhaps it was because I had just spent multiple hours on a train and a bus, traveling from Oslo to Bergen. Perhaps I was simply too distracted by the outstanding frescoes from the early 1920s all around me. Whatever the reason, by the time I left and headed to my hotel, I still didn’t know what “the fire” was. Two days later, the sound of cannon fire awoke me at exactly 7 a.m. Either Norway was being attacked, or the May 17 celebrations had begun. As explained to me by the Norwegian couple with whom I shared a table at breakfast (he had just returned from a trip to the American West in search of classic American cars; she was a fan of The Simpsons, created by half–Norwegian-American Matt Groening), Bergen throws the best party, and many Norwegians come from all over the country to celebrate this most important holiday here. That claim became clear very quickly when I took my spot along the morning’s parade route and was captivated by the spectators’ attire. Seemingly everyone, from the oldest men and women to the youngest children, was dressed either in the traditional garb of their region or in their finest clothing. Their costumes were beautiful, not completely dissimilar by region, but with enough nuances in color and intricate embroidery to differentiate one part of Norway from another. 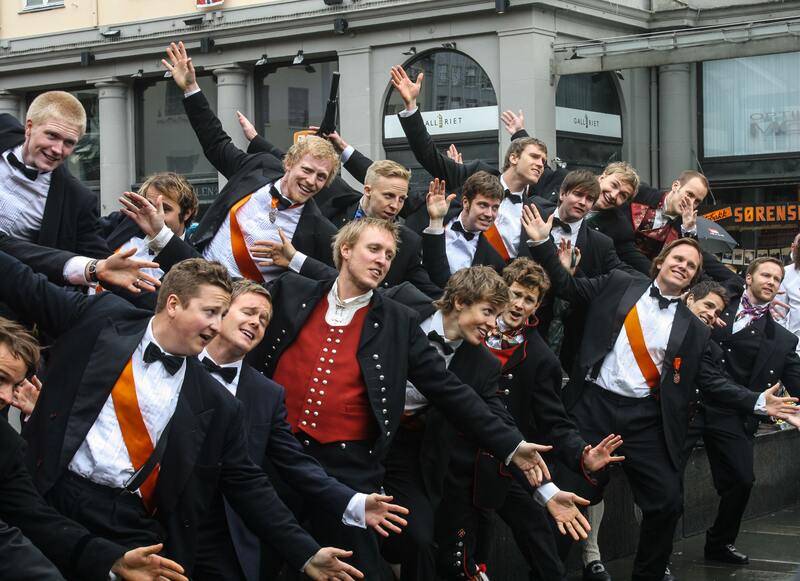 A men’s choir entertains Norwegians and visitors alike on this special day. Despite my comparatively slovenly appearance, in jeans and a polo shirt, the Norwegians welcomed me as one of their own, a feeling of total warmth and acceptance that makes this country so special. The giddy girls next to me were friendly and forthcoming with information about the parade, and about my acceptable pronunciation of Norwegian words but terribly misplaced accents, and I offered them helpful tips about Atlanta for their upcoming semester there. That wonderful inclusiveness resurfaced that night, after I had spent the day enjoying the parade, the musical performances around town, and the general convivial atmosphere of a country reveling in its independence, something it obviously holds very dear. After all, Norway had been part of unions with either Denmark or Sweden (always playing second fiddle) for centuries. Even in the same year that its constitution was signed, 1814, Norway once again found itself subdued by a powerful neighbor, latched into a union with Sweden until finally achieving independence in 1905. Fewer than 40 years later, the Nazis overran Norway and stayed there for half a decade during World War II, one of the longest occupations in Europe. It’s no wonder that the whole country celebrates on Syttende Mai. 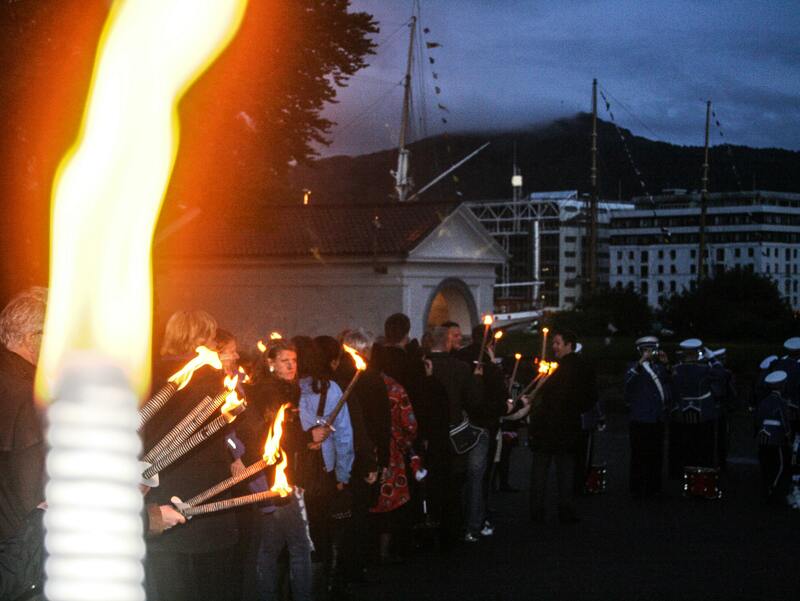 Torch in hand, I began my march through the streets of Bergen with more than 100 Norwegians. Without a second thought, I secured my place in one of two parallel lines of Norwegians who, at the call of a whistle, began to sing their country’s national anthem. We then started to march out of the courtyard and through the city — along the historic Bryggen and harbor, and past the outdoor Torget Fish Market. Spectators along the route stopped to watch us, shouting amicable but indecipherable exclamations in Norwegian as we passed. I felt as if I were in the opening ceremonies of the Olympics, bearing my torch in front of an ebullient crowd on the way to something spectacular. A 30-minute fireworks show caps a full day of festivities. We wound through town, finally arriving at Lille Lungegårdsvannet, the five-acre natural lake in a park in the city center. The two lines splintered off, marching around to either side of the lake and taking our position on the edge of the water. With darkness having finally fallen at about 10 p.m. (after all, this was mid-spring in the Land of the Midnight Sun), the only lights were the occasional warm glow from the windows of nearby houses and the row of flickering torches across the lake. Behind us, thousands of Norwegians had gathered on the grass to watch the fireworks display that erupted only minutes later directly above our heads. 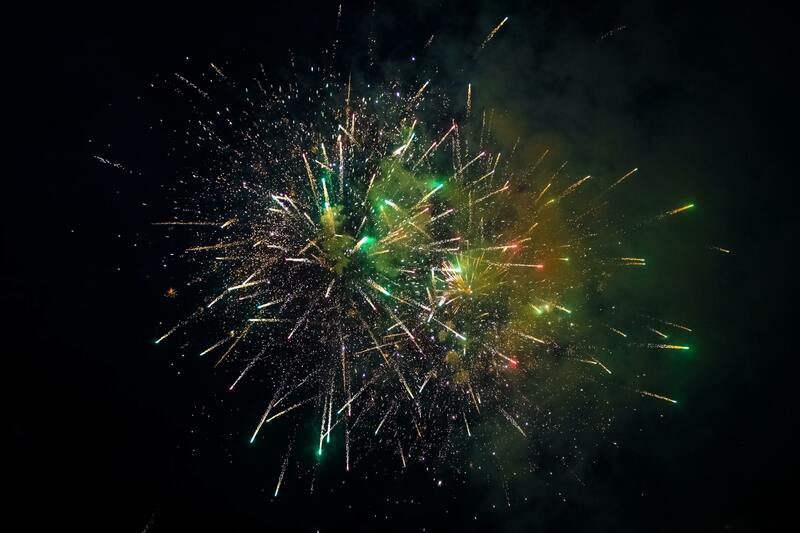 Booming explosions of color illumined our faces as we all leaned backward and looked up to appreciate the display. When the show came to its boisterous conclusion 30 minutes later to a resounding round of applause, all the fire-bearers knowingly tossed their torches into the lake to extinguish the flames. It felt like littering, but when in Bergen…. The next morning, when I rose and returned to the park to visit one of the museums along the lake, that water had already been swept for torches and was perfectly clean, as if the entire extravaganza the day before had been just a dream.